There are always losses in life, but when you lose one who meant so much the loss hurts double knowing that you will never be able to share time together again. That is exactly how it felt when guitarist Michael Burks left us suddenly just a few years ago. Burks was a shining light in the blues world. His playing was spectacular and his personality on and off stage infectious. He made his name in the genre and it will forever be rock solid therein. That is why it is so appealing and welcoming that these lost recordings from Burks’ early days have surfaced to share with all of his legions of followers. 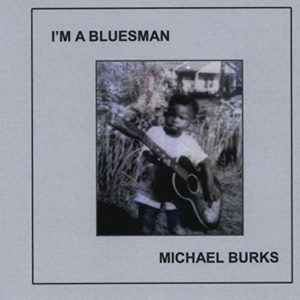 Recorded in 1998 at Kingsnake Studios, I’m A Bluesman captures Burks’s creativity displaying all of the talents of his songwriting and performing before he became the established and renowned international artist a few short years later. Burke was joined in the studio on this recording by some of Kingsnake’s ace sidemen like Ace Moreland, Warren King, and Bob Greenlee, and this stellar outing sits proudly alongside any of Burks’s later material. A dozen tracks filled with his burning guitar work. It is a mix of originals and some very well-represented covers from people such as Greenlee, Lou Pride, Joe Louis Walker, and even a very slow, bluesy take on the Hall & Oates hit “Sara Smile.” Burks also possessed a very soulful voice that could come across strong or soft. The latter really comes across nicely on his take of Mike Griffin’s “Blues Will Never Die” and his own “My Little Girl” that has great accents from a horn section. The album closes with an auto-biographical piece, “Raised Up In Arkansas,” where he recounts his father telling him that to achieve what he is after he has to pay his dues. Lucky for us all, he chose the blues to pay his dues within and we’re all so much better for his decision. 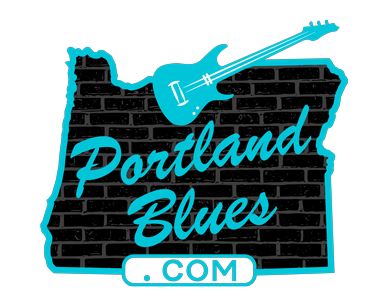 Extraordinary guitar work, great song selections and well executed blues performances throughout, I’m A Bluesman is a reminder of all the talents that Burks brought to the world. He may be gone from us, but he’ll forever live within our memories with the outstanding recordings he left behind. Thankfully, we now have these to marvel and enjoy as well.